According to my guests' experience, there is no more luxurious place in the French and Spanish Basque Country than Hotel du Palais. The elegance can be seen from the first moment that you see the building and his place, in the middle of the biggest beach of Biarritz, crowning the glam of the French Basque Country city. Appart from the refined French taste, they have a long experience with kings, noblemen, artists and other celebrities. And it is considered as one of the most distinguished hotels in the whole France. Some of the travellers who ask for my services as a local Basque Country tour guide are sleeping in this hotel and they always recognize the high standard of the services given. It is a supperb place for special celebrations, as I have done with some interested person. It has 3 restaurants, the Imperial Bar, a spa area with sauna, a swimming pool and even a small golf course. It has also a direct accest to the sea and the views of the sea than an Empress, and you, deserve. Biarritz is a town which combines the calm of his villas and luxury spas with the constant movement of surfers. It is said that this was the entrance door of surf in Europe, associated with the writter Peter Viertel (the husband of Deborah Kerr). The sea water here is considered healthy for centuries as it has a lot of seaweeds and near the city center you can also visit the local casino. 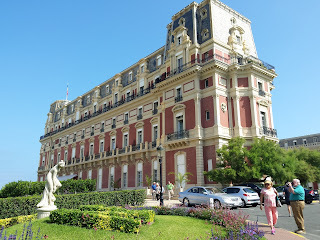 The Sea Museum (Musee de la Mer), the virgin of the Rock, the Old Port, the Museum of Chocolate, the Halle Market and the Phare are other icons of this charming town. 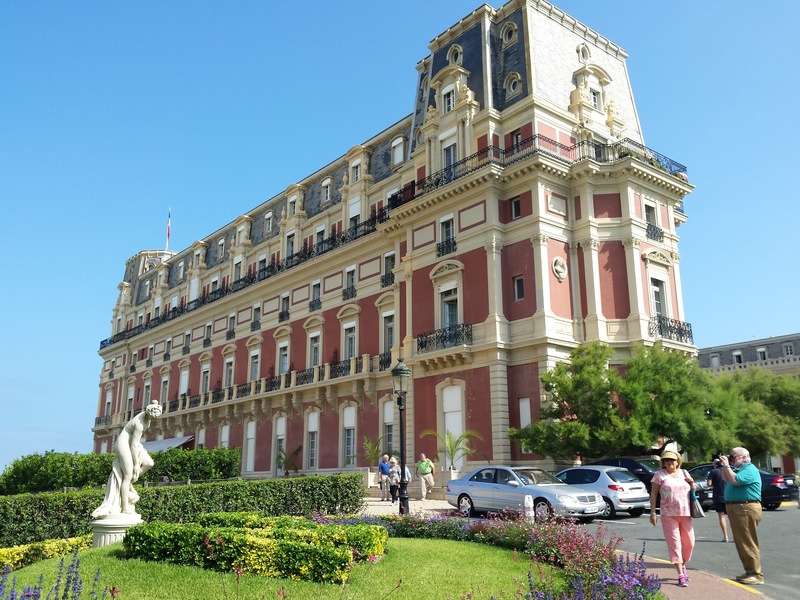 From the palace you can also make interesting day tours to towns like St-Jean-de-Luz, Bayonne, Bordeaux and San Sebastian. Nearby it is also Sare, a small Basque village with traditional countryside architecture and some interesting caves nearby, or Espelette, with its wonderful red peppers hanging all over the village's cottages... a true picturesque place. Many visitors are also interested in the sports facilities offered here: surf, rugby, golf, sea sports... as well as the Basque traditional sports like jai alai, Basque hand ball. The area is a world hub for competitions of jai alai and rugby. Are you thinking to come to Bilbao or the Basque Country? Do you want to enjoy more your stay? 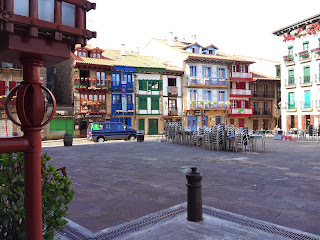 Coming on Holidays to the Basque Country? Private Tours Fees for Excursions Outside the Basque Cities of Bilbao, San Sebastian, Vitoria, Laguardia, Elciego, Getaria, etc. ANY QUESTIONS? : tours@aitordelgado.com, Cell phone: +34 687 476 134 & +1 917 2677569. Powered by Blogger.